I went here after drooling over someone’s facebook’s photo’s of the restaurant the food looked ever so good, fresh ingredients hanging over the counter. 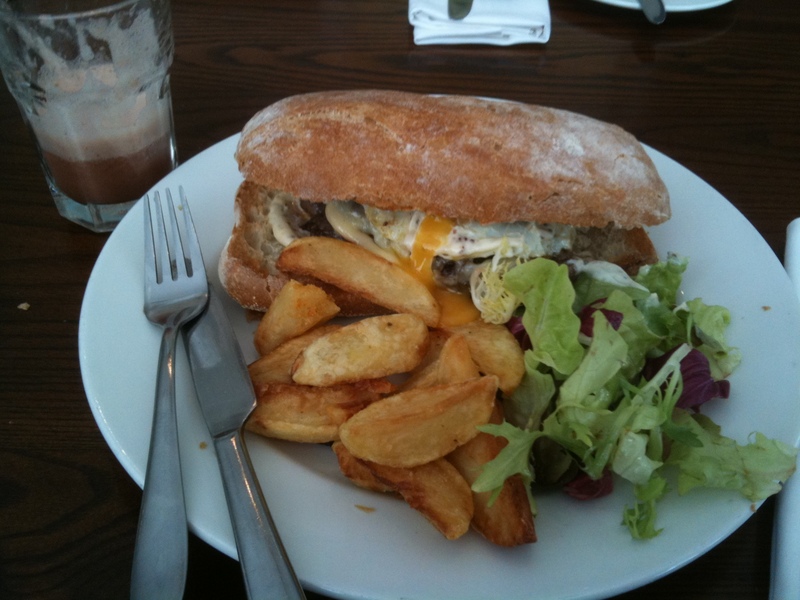 I took my friend here for lunch and opted for “Empress Steak and Cheddar cheese sandwich, fried egg, chips and salad”. It was so delicious and also hard to eat because it was over stuffed with filling, I ended up using a knife and fork to cut the sandwich. The bread used was ciabatta and can be very filling; actually to tell you the truth I couldn’t even finish this. I also had their freshly made smoothie also very filling and ice cold just how I like it.